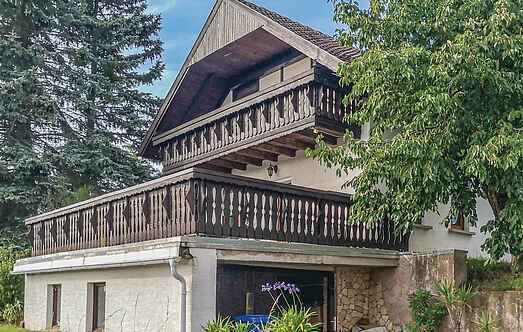 Find a vacation home to rent in Schmalkalden-Meiningen from our list of vacation rental properties. Campaya has over 19 vacation homes available in Schmalkalden-Meiningen, which give you the possibility to locate a unique accommodation in Schmalkalden-Meiningen which completes your check-list in search for the perfect self catering vacation apartments in Schmalkalden-Meiningen or vacation villas in Schmalkalden-Meiningen. This holiday home stands at an altitude and offers a magnificent, wide view of the town and the countryside. Apartment on the ground floor of an apartment building with panoramic view of the Werratal and the surrounding mountains. All rooms are characterized by a cozy and functional furnishings. This holiday home with modern and rustic furnishings has two floors and provides flair of the Scandinavian Cottages. Large detached holiday home for 10 people in the Thüringen Forest.